Sadly, neither. 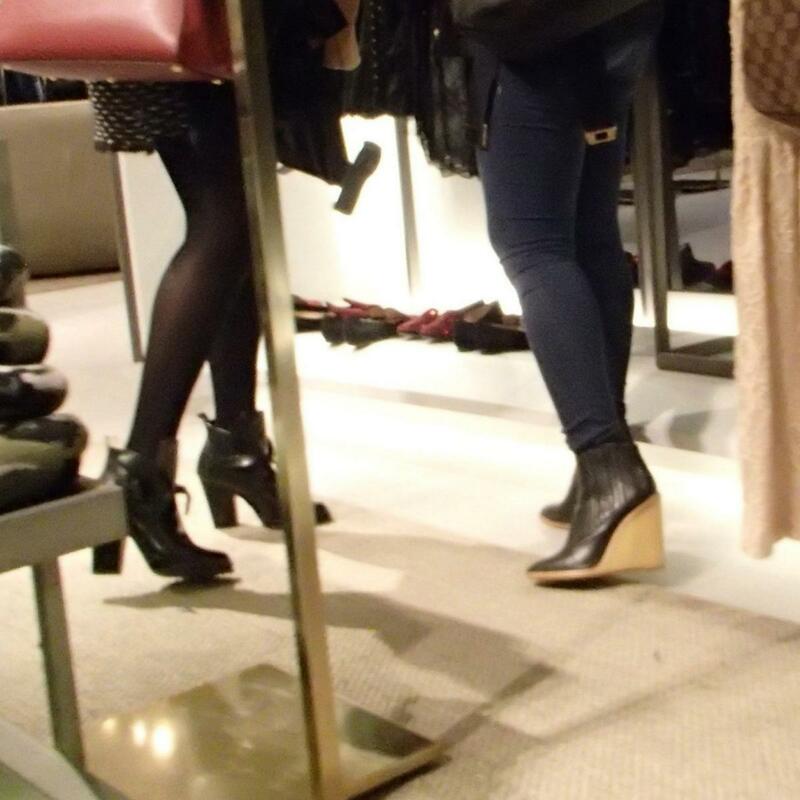 The ankle boots on the left are more like those I have and would wear, but I like the wedge boots on the right. If they had been available (I think from Zara) with a dark sole, I might have bought some. I really like wedge heels.